Assistant Superintendent for Business Lynn Shugars and district architect John Middleton discussed dozens of projects the district could include in its planned 2018 bond referendum. There is no shortage of projects Cherry Hill Public Schools could include in its planned 2018 bond referendum. 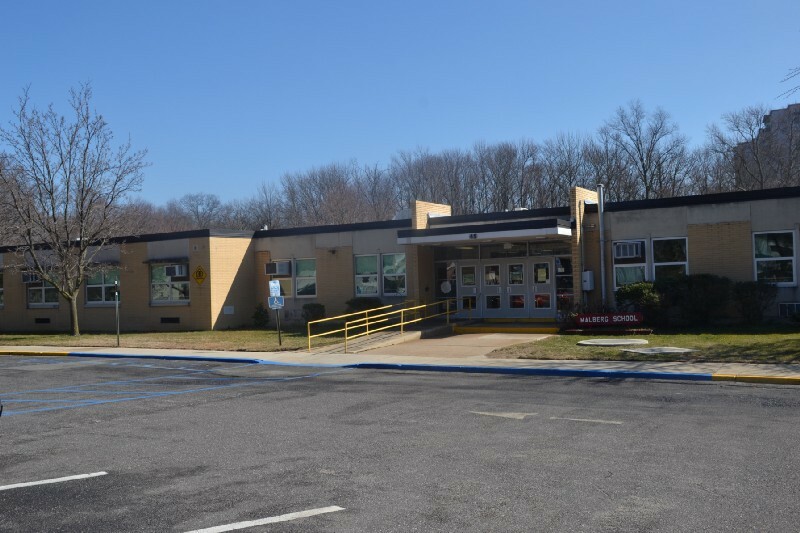 At the Cherry Hill Board of Education’s committee of the whole meeting last Tuesday, Assistant Superintendent for Business Lynn Shugars and district architect John Middleton presented a long list of potential projects for the district’s planned bond referendum. This presentation went into greater detail than past ones, as it examined the needs of specific buildings in the district. District officials are not yet discussing a specific dollar amount for the referendum, how many questions the referendum will include, how many projects will be included or how the referendum is structured. The board of education is expected to adopt a Cherry Hill Public Schools 2020 strategic plan based off last Tuesday’s presentation at its next meeting on Dec. 19. After the plan is adopted, the district will begin to draw up specific plans for items to include in the bond referendum. Shugars noted administrators and the board would have to make important decisions on what the district’s biggest priorities are in the bond referendum. She said there is a lot of essential work the district must include. Security upgrades are something district officials have discussed throughout 2017. In November, the school district unveiled security upgrades at Barclay Early Childhood Center, including a security vestibule, interior and exterior cameras, strobe lights and access cards in place of door keys. The district plans to include these upgrades as part of the referendum, with the hope of installing them at other schools. District-wide HVAC upgrades are also a priority. A few years ago, the district underwent a boiler replacement project. While this got the ball rolling with upgrading temperature management in the school buildings, Middleton noted many of the buildings are still operating with outdated HVAC control systems. Roofing repairs would need to take place at some schools. Shugars noted a couple schools, such as Horace Mann Elementary, need entire new roofs, while other schools would need more minor repairs. Many of the buildings also need drainage upgrades, masonry repairs, entrance canopy replacement, exterior door replacement and more. Two of the district’s elementary schools, Sharp and Knight elementary, do not have elevators despite the buildings consisting of multiple levels. Middleton noted both schools would need elevators to become ADA-compliant. At Carusi Middle School, Shugars and Middleton said asbestos abatement is a major priority. The school has asbestos in the walls and ceilings and it has caused a big issue with construction. Shugars said the asbestos made Carusi difficult when performing the water fountain upgrades earlier this year. Middleton added the asbestos is a big reason Carusi’s fire alarm system was not upgraded when most of the district’s other buildings received the upgrades in recent years. “(The asbestos) prevents us from going horizontally anywhere in the building with utilities,” Middleton said. Community spaces across the district were highlighted in the presentation. One area the district could focus on is upgrading some of the buildings’ bathrooms and kitchens. “We still have a lot of bathrooms that are still original in the district,” Shugars said. Each of the middle schools could see upgrades in community areas. Beck Middle School’s media center is the only original media center remaining out of the three middle schools and is due for an upgrade. Beck’s large group instructional space also needs a renovation, as Middleton noted the floor in the room is sloped. At Carusi, locker rooms could be an area of focus in the referendum. The school could also receive upgrades to its stage to make it more accessible. At Rosa International Middle School, Shugars noted a stage was never installed, so building one could be a referendum project. Rosa could also receive ceilings in the building, as ceilings were not put in when the school was opened in 1999. A number of areas at Cherry Hill High School East could see upgrades. New bleachers for the gym were included as potential items. Shugars said the district could examine the school’s media center and nearby annex. With the annex being underutilized, Shugars believes it could be repurposed to something more beneficial for the students. Upgrades to the Cherry Hill East auditorium were also included as a potential item. Shugars said the auditorium hasn’t been updated in many years, outside of the replacement of the ceiling and HVAC unit a little more than a decade ago. Shugars said Cherry Hill High School West needs new locker rooms as well as an expanded cafeteria. “The cafeteria just isn’t large enough to accommodate their population,” Shugars said. The district could look to repurpose the school’s old auditorium. Shugars said the space has been underutilized since the construction of the school’s new auditorium and feels it could be repurposed. Cherry Hill West also could see repairs or a replacement of its elevator. Middleton said this is important because of the number of levels the school features. The list of proposed projects must be finalized and submitted to the state Department of Education in March. The board is expected to officially authorize the bond referendum in either June or July. If authorized, the referendum would take place on Oct. 2. Visit www.chclc.org/board-of-education/2020-vision for more information on Cherry Hill Public Schools 2020.